Ryan Seacrest became a household name after landing a co-hosting gig on American Idol in 2002. The entertainment mogul is everywhere these days—from his work on Keeping up With the Kardashians to his gig on LIVE!, it's obvious Seacrest isn't going anywhere anytime soon. Although his seemingly perfect persona and unmatched work ethic has earned him a lot of success, there's definitely a shadier side to this star. Let's take a look. A former wardrobe stylist at E! News came forward in November 2017 with sexual misconduct allegations aimed at Seacrest, reported Variety. The alleged misconduct reportedly occurred ten years ago, when the two were both employed by the network. According to TMZ, the accuser's attorney allegedly demanded a $15 million payment in exchange for silence and requested "an apology from Ryan and validation of what had happened." What the stylist received instead was a "complete rejection of the allegations and a request that she not go forward with an interview with NBC investigators," the attorney said. 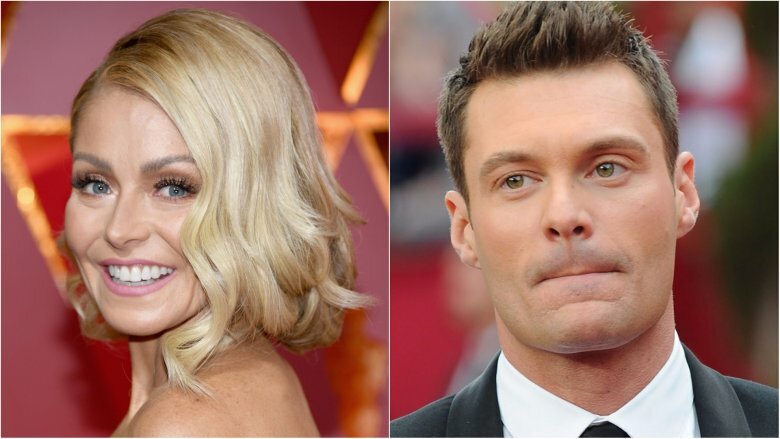 As the network investigates, Seacrest released a statement (via Us Weekly) that said, in part: "If I made her feel anything but respected, I am truly sorry. I dispute these reckless allegations… I treat all my colleagues with kindness, dignity, and understanding, as this is a principle that's core to who I am." He added, "I'm proud of my workplace reputation, and believe my track record will speak for itself. I'm an advocate for women. I will continue to support their voices." Did he try to uproot Kelly Ripa? 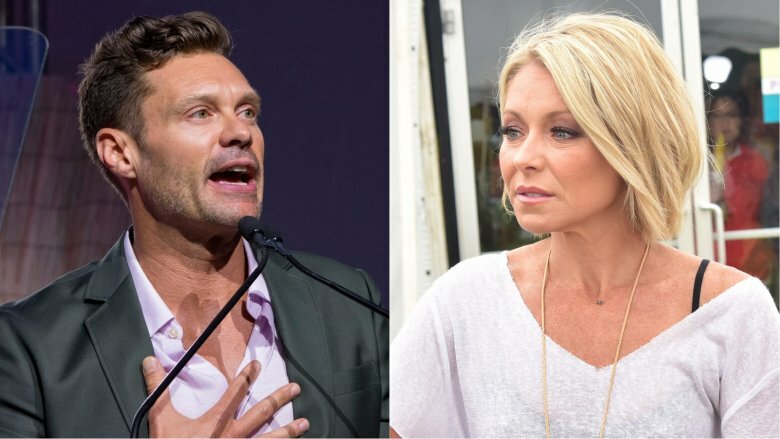 Prior to Seacrest joining Kelly Ripa on LIVE!, Radar Online reported that he unsuccessfully tried to relocate the entire talk show from New York to Los Angeles. Ripa would have been forced to move her entire family, including her two kids, across the country. "That's when Kelly put her foot down and said, 'No way!'" a source told the tab. "Kelly pointed out that her production company with husband Mark Consuelos, Milojo, is based in New York… She also pointed out that her son, Joaquin, is about to begin high school in New York City. Producers have offered to have Joaquin home-schooled or provide a tutor for him, but she won't pull him out of school." As for why Seacrest was allegedly set on shifting LIVE! in Los Angeles, the majority of his work projects are based on the West Coast, including American Idol. Seacrest's consolation prize? A gorgeous Upper East Side townhouse that he rents for $75,000 a month, according to Curbed. In March 2013, Seacrest and Dancing With the Stars pro Julianne Hough broke up after almost three years of dating. Following the split, Hough dished on the dark side of their relationship. She told Redbook that "there was nothing wrong or bad, but there was nothing right. I had one foot out because I didn't want to get hurt. And I didn't say what was on my mind because I didn't want to ruffle any feathers. I needed to be perfect." Sources also claimed Seacrest's hamster wheel lifestyle ran the relationship into the ground. "Dude works all the time. He never sleeps," an insider told Us Weekly. "Work always, always came first [for Ryan] She wants a more lowkey life." Although Seacrest appears to keep his personal life out of the press, he did open up about Hough's July 2017 wedding to hockey star Brooks Laich. On an episode of LIVE! 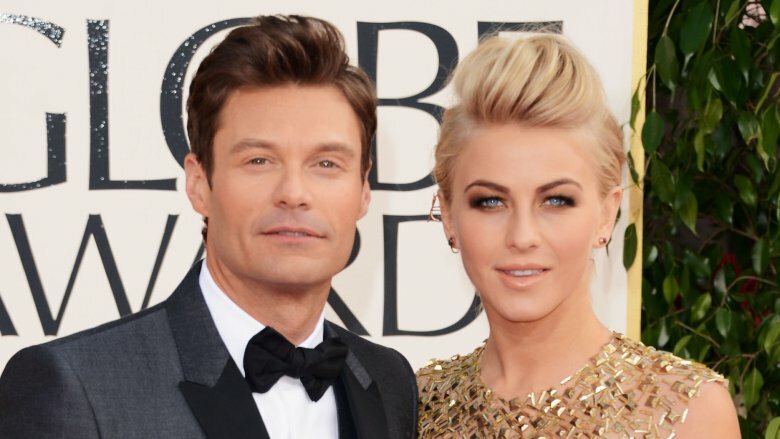 (via Us Weekly,) Seacrest called his ex "stunning" and "super talented." He added, "Congratulations, Julianne! Happy to see you happy." In June 2017, TMZ reported that Seacrest put a major wrench in his American Idol contract negotiations. Insiders claimed he was vying for an "executive producer" credit in addition to his hosting role. That demand supposedly held up negotiations. 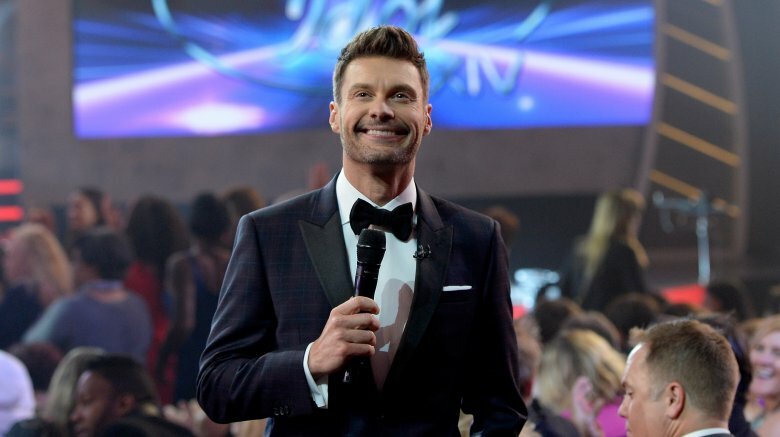 Seacrest finally announced his return to the show during a taping of LIVE! in July 2017. According to Variety, he didn't snag the producer title, but he did secure a whopping $12 million for the reboot, along with "creative consultation and approval on judges and other production issues." 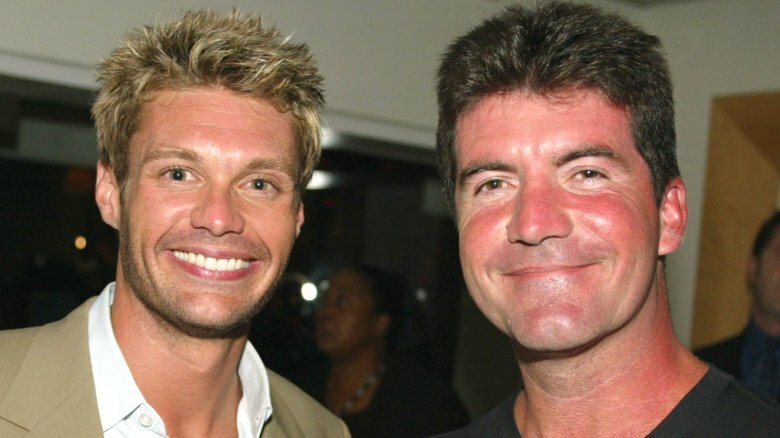 Fans of American Idol probably remember the tension between Seacrest and one of the show's former judges, Simon Cowell. Cowell and tension went hand-in-hand, but things boiled over between these two during Season 6. According to Rolling Stone, Cowell called Seacrest "sweetheart." Secrest did not appreciate the nickname. "Don't call me sweetheart," he snapped. "I don't want that kind of relationship. We'll just work together–that's fine with me." Cowell then replied, "You've made this very uncomfortable." And it was for everyone watching. However, a source close to the show claimed the infamous feud may have been scripted, telling Star (via Today,) "Most of these rifts have been outlined. Simon and Ryan are real good friends off-camera… When the show is on the road for auditions, the two go for drinks and dinner." 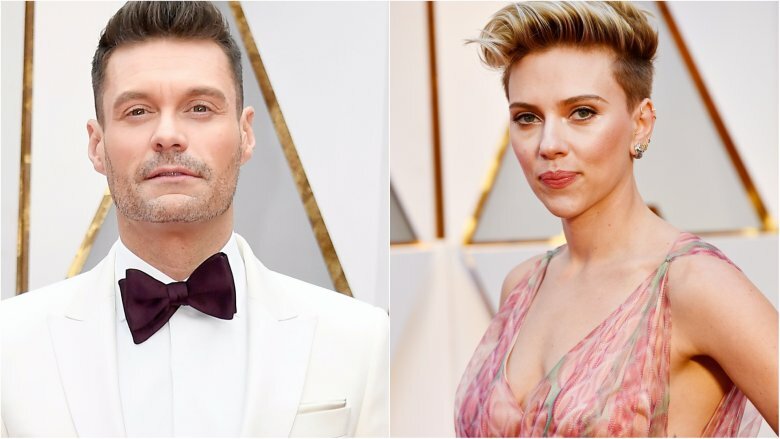 In February 2017, Seacrest was heavily criticized for asking actress Scarlett Johansson a question that some considered "sexist" on the red carpet for the Academy Awards. According to Glamour, Johansson was one of the evening's presenters, and Seacrest asked her if she wore the same shoes she wore on Oscar night to the show's dress rehearsal. Johansson responded with: "What a ridiculous question." Seacrest tried to justify his query, claiming the Los Angeles Times also asked actress Halle Berry about her dress rehearsal shoes, but many folks were not impressed. The timing also wasn't great for Seacrest, especially since the #AskHerMore movement had begun to gain widespread attention. The movement challenges red carpet interviewers to ask female stars questions about topics other than their fashion choices and relationships. Soon after Seacrest was announced as Ripa's new LIVE! co-host in May 2017, rumors of tension between the two surfaced online. 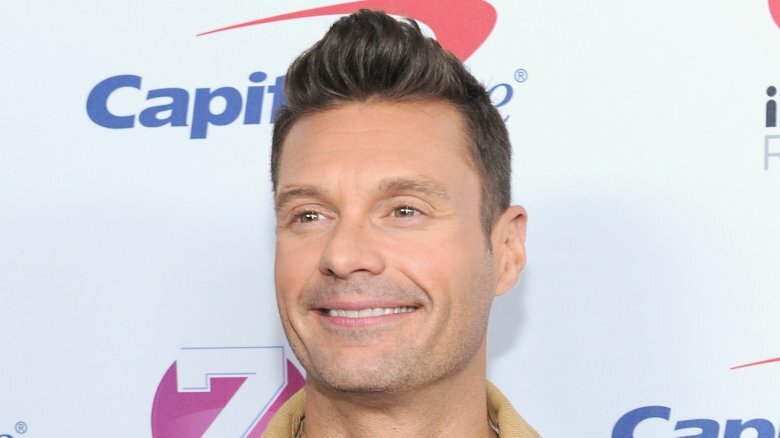 Page Six claimed Ripa doubted Seacrest's commitment to the show, particularly after he inked a deal with American Idol. Ripa had lost her former co-host, Michael Strahan, to Good Morning America, so Seacrest dabbling in other projects may have felt like deja vu. "She doesn't want a repeat of the Michael Strahan situation. It's like ABC is once again diluting the attention on 'Live.' She wants to make sure her show is Ryan's first priority, not 'Idol,'" a source told Page Six. 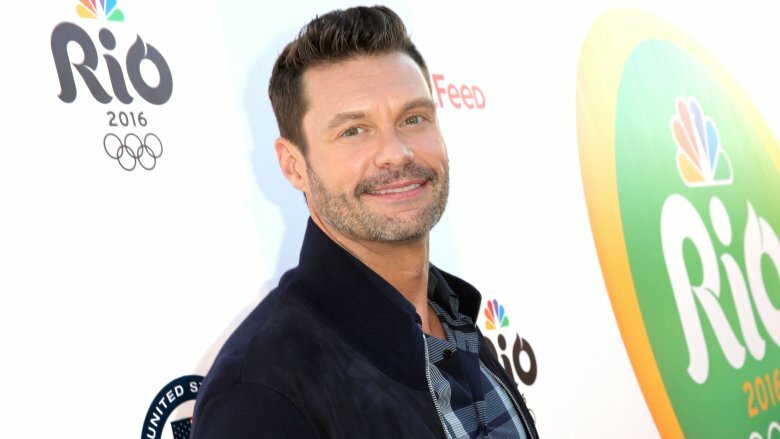 More proof that something was brewing behind those big grins: Page Six reported that Ripa forced Seacrest to cancel an appearance on Good Morning America in October 2017. "Kelly threw a s**t fit and told him he couldn't do 'GMA,' so he pulled his appearance," a source claimed. Despite the bad buzz, an insider told E! News the co-hosts "get along famously. They truly love each other and speak several times a day… She supports his other commitments and he supports hers. Ryan and Kelly have the same work ethic and values. That's why it works so well." In a September 2016 interview, Seacrest got on pop star Ariana Grande's bad side after pestering her with questions about her relationship with rapper Mac Miller on his radio program. "Oh, is that what I did? Is that what Instagram means to you now? All right, world, let's go!'" Grande shot back (via HuffPost.) She clearly wasn't into it, but Seacrest pressed on. Grande pushed back: "Come on, man. Good morning, On Air With Ryan Seacrest. It's too early for this kind of tea." Still undeterred, Seacrest asked Grande about her love life again. She shut him down. "If I post something, that's what I'm willing to share at the moment," she said (via Elite Daily). "That doesn't mean you, Ryan Seacrest, with millions of listeners, are entitled to more information." 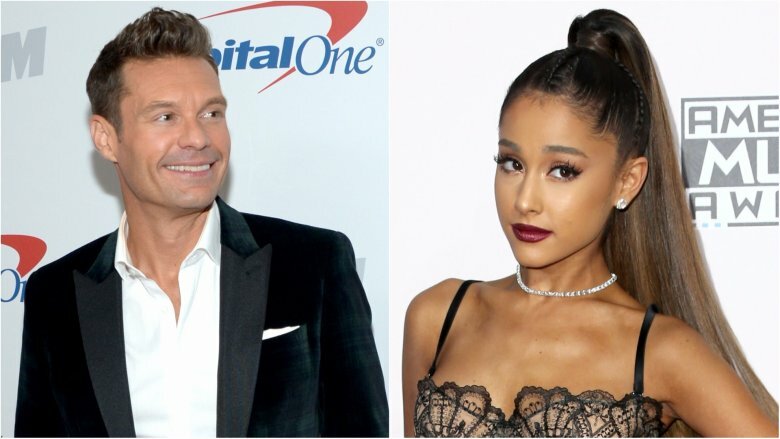 It's worth noting that although Seacrest received a lot of flak following his interview with Grande, the singer also garnered some backlash for what some considered to be "rude" behavior. 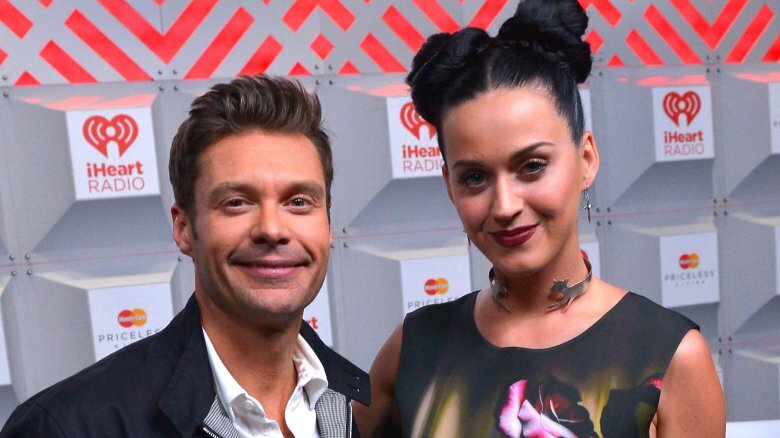 Katy Perry joined American Idol as a judge in May 2017, and according to Variety, her deal included a massive $25 million dollar paycheck–that's double Seacrest's Idol salary. 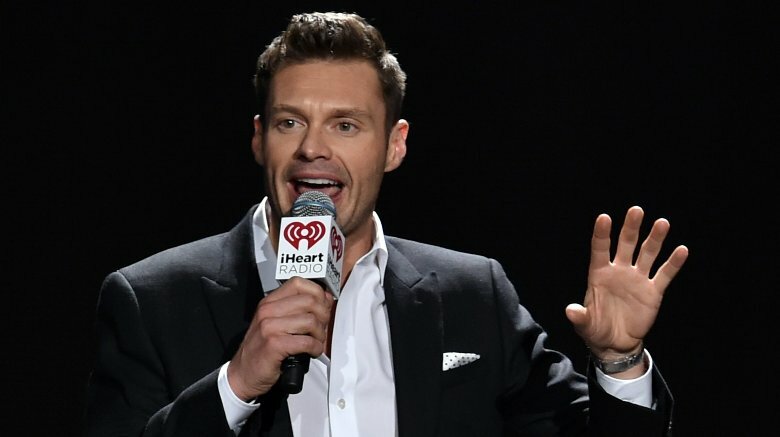 The wage gap reportedly didn't sit well with Seacrest. As for Perry, she certainly wasn't apologizing. "I'm really proud that, as a woman, I got paid. And you know why? I got paid like more than like pretty much any guy that's been on that show," she said (via E! News.) "And, by the way, I love men. So I'm a paid woman and I'm ready for a beautiful man." Does he work too much? It goes without saying that Seacrest works a lot, but how much is too much? Is he actually hurting the projects he's involved in because he's stretched too thin? According to TMZ, the dude is flying back-and-forth between New York and Los Angeles twice weekly. Here's an example of a Seacreat lazy Sunday, per TMZ: "Ryan does 'Idol' live at 8 PM ET, which is 5 PM PT. He jumps on his jet at 7 PM, sleeps for 4 hours and lands in NYC at around 3 AM ET." He reportedly films LIVE! on Monday morning, then flies right back to Los Angeles to work on the Idol results show, before rushing back to NYC for Tuesday morning's LIVE! episode. Granted, Seacrest has somehow been doing the work of about ten people on his own for years, but we can't help but wonder if his breaking point is fast approaching.